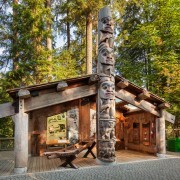 Although it features major travelling exhibits and visitors can easily spend hours in its modern history and natural history galleries, the marquee draw at the Royal BC Museum is its unparalleled First Peoples exhibits. The massive West Coast wood carvings, both historical and modern, that dominate its Totem Hall are chill inducing and invite visitors to gain a deeper understanding of First Nation’s culture and archeology within its First Peoples Galleries. 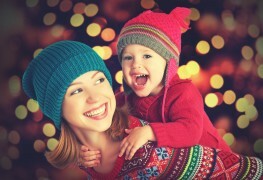 The permanent galleries and seasonal exhibits of the exceptionally family-friendly Canadian Museum of Nature merit repeat visits. Among its cool collections, 18 mammal habitat dioramas, a full whale skeleton and the life-sized dinosaur denizens of the swamp forest room are standouts. For budding naturalists, fun features include interactive exhibits, nature-themed activities and daily screenings of 3D and HD movies with topics such as dinosaurs, insects and Arctic critters. In conjunction with Montreal’s 375th birthday celebrations, November 2016 sees the grand opening of the fifth pavilion of this artful edifice. 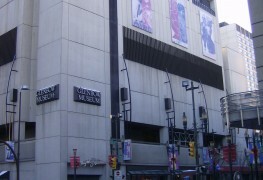 Complemented by international travelling exhibitions, the Montreal Museum of Fine Arts' expansive displays include a keystone collection of Old Masters paintings, internationally important works by artists such as Rodin and Picasso, and the comprehensive Quebec and Canadian Art Pavilion featuring works by the likes of Tom Thompson, Jean-Paul Riopelle and Michael Snow. Blending artfully with the wild crags and fossil-rich valleys of the Alberta Badlands, this museum of prehistoric life is a stone-cold stunner. 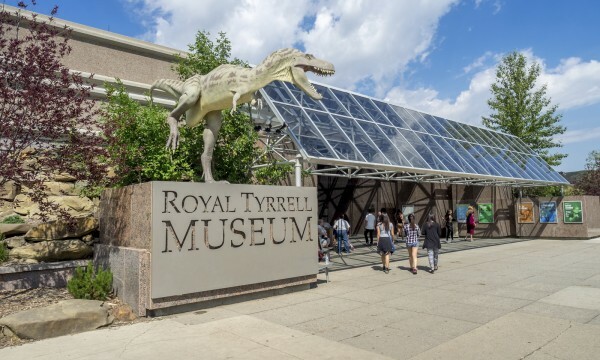 Just a 90-minute drive from Calgary, it's a palaeontological party palace that swarms with prehistoric forms including ancient animal skeletons from the diminutive sea monsters of the Burgess Shale to bus-length T. rex, mosasaur and triceratops. Seafaring photo ops at the nation’s mightiest Maritime museum include taking a seat on a replica deck chair on the Titanic and captaining the country’s oldest surviving warship, the CSS Acadia, located wharf-side on the Halifax waterfront. Exhibits take visitors on a watery cruise through Nova Scotia’s historic participation in the Age of Sail and the nation’s naval war efforts. Other exhibits feature stories and artifacts from the sinking of the Titanic and the Halifax Explosion. The nation’s preeminent art institution is located in the nation’s capital on the north bank of the Ottawa River in view of Parliament Hill. Its collections and temporary exhibits include globally important showings, but the nation’s own art is the real star here. Sunny, granite halls and sprawling galleries hold truly iconic works of historic and Canadian art including Arctic images by Inuit print maker Kenojuak Ashevak, the awe-inspiring photoscapes of Edward Burtynsky and a veritable forest of Group of Seven paintings. Inspired by the traditional cedar great houses of the Northwest Coast peoples, the MOA is impressively integrated with its seaside locale. The soaring main atrium populated with storeys-tall totem poles invites visitors to immerse themselves in exhibits curated in cooperation with the global peoples they portray. 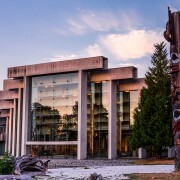 Though the University of British Columbia museum features international exhibitions, its special focus is on British Columbia’s First People. An architectural highball of angular glass and historic stone, the ROM’s striking exterior suits the spectacular scope of its permanent galleries and seasonal exhibitions. Topical temporary showings mine nature, culture and history as well as the worlds of Canadian and international contemporary art. 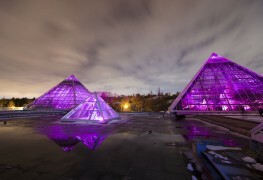 The museum’s sprawling spaces feature a superabundance of cool stuff from the stalactites and real bats of The Bat Cave, to the mummies and archeological artifacts of ancient Africa and Egypt, and the Sigmund Samuel Gallery’s definitive collection of art and artifacts tracing our nation’s formation. The country’s newest national museum is a soaring blossom of a building. This spacious beacon of humanitarian ambition is located at the historic confluence of the Red and Assiniboine rivers, known as The Forks, in downtown Winnipeg. Its ambitious mandate to explore Canadian and international human rights is reflected in 10 central galleries and two temporary exhibit halls and the must-climb Israel Asper Tower of Hope with its panoramic view. Just opposite Parliament Hill in the idyllic city of Gatineau, Quebec, the nation’s history museum is housed in a gracefully curved pair of buildings designed by renowned First Nations architect Douglas Cardinal. While its fluid forms reflect the importance of paddle and sail in the nation’s formation, its galleries feature a complete examination of the Canadian experience – its signature Canadian History Hall slated to open to visitors in July 2017. The Grand Hall features historical and contemporary art and architecture of First Nations from coast to coast. 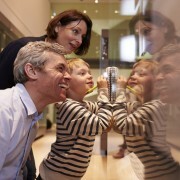 You’ll also find temporary, high profile exhibits on global history. Canada’s museums are dynamite destinations. Whether you’re rediscovering your hometown attractions or planning a vacation in your own nation, make visiting these interesting and educational attractions part of your itinerary.